In Destiny 2, Basic changes are made to the armor parts. 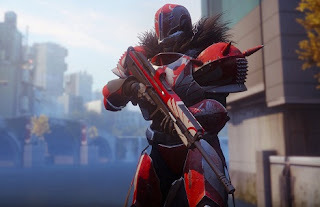 Exotic armor is also known. - The attributes: Intellect shortens the cooldown of the super, control of the grenades and strength of melee. The higher these attributes, the more often you can use the abilities. These Gear-Stats are broken up in Destiny 2. The attributes are removed, but armor parts will affect three other stats. The attributes intellect, discipline, and strength disappear in Destiny 2. This means your armor parts can no longer determine the decay times of the three abilities. 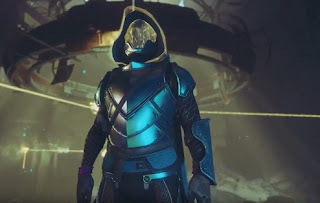 Especially, since Destiny 2 will also have a fourth ability, the class ability. However, a look at already known focus shows that these focus nodes are missing in Destiny 2. Say, no longer the focus, but the armor parts will determine in future armor, agility and recovery. This is likely to open up more possibilities for influencing them individually. The helmet, gloves, chest protector, leg protection and class object remains. The slot, which is filled with the artifacts in Destiny 1, was locked on the gameplay premiere with a lock symbol. 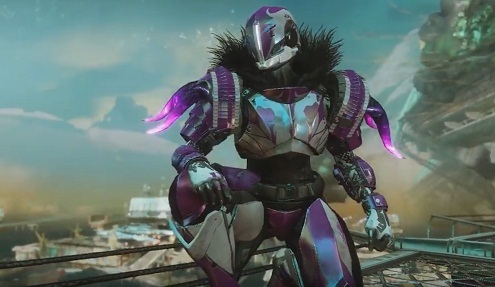 A few exotic armor parts were also revealed, when the developers talked about the Exotics. 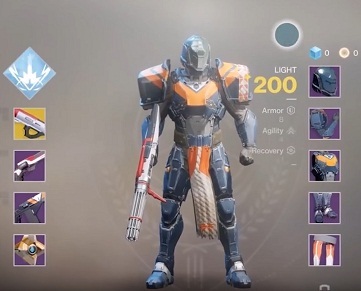 So far, there is no information about shaders in Destiny 2, but the following two pictures suggests that we can color the armor parts again differently. Also on this picture is an Exotic to see. 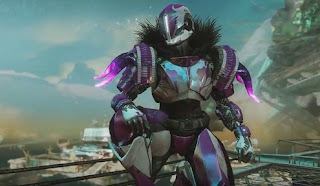 In all likelihood, the helmet is the exotic item because it definitely has a striking design. What exotic Perks these armor parts have is still unclear. 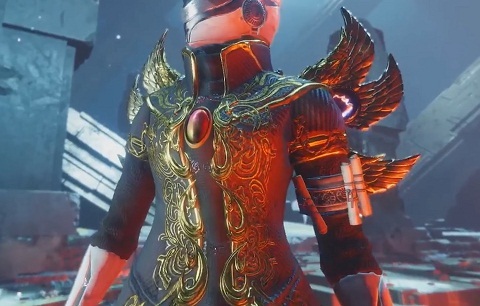 However, it can be assumed that this Warlock chest protector will strengthen the Dawnblade subclass.